True and effective representation of people and protection of citizens should not only be in the hallow chambers but must be felt directly by the citizens, residents and immigrants of the nation. This was fully showcased by Hon. 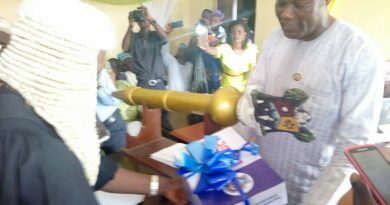 Abdulazziz Osho, The Leader of the Legislative Arm of Ojokoro Local Council Development Area on Wednesday 6th December, 2017 when a fatal accident occurred involving a vehicle, motorcycle and business operatives in Clem area of the LCDA. Hon. Osho catered for all medical bills, exchanged contacts with victim’s relative and also gave out some cash to augment further bills. 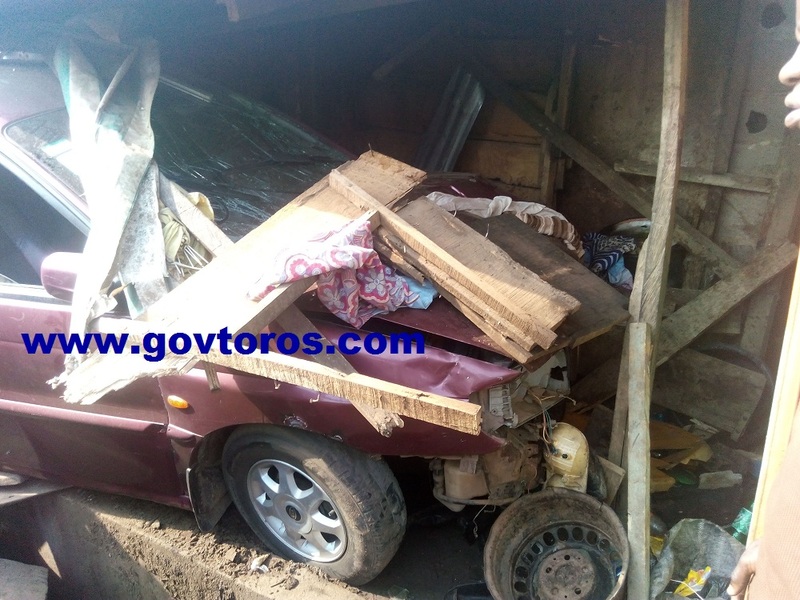 An eye witness, Yinka Amao reported the accident to the council and the Leader of the Legislative Arm of the council, Hon. Abdulazziz Osho and Hon. 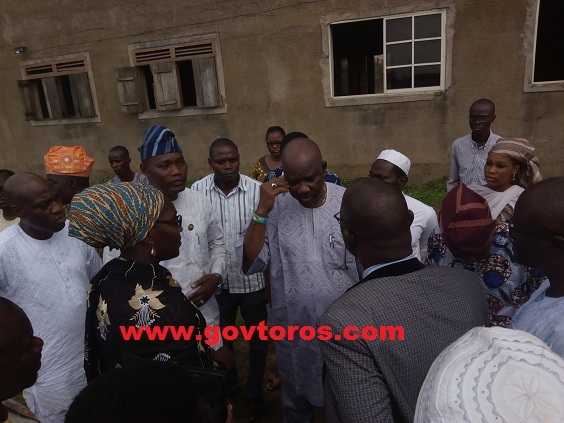 Adeniji Segun swung to action by visiting the site with the council’s ambulance to rescue the victims. A wine color car with registration number KJA635 CZ ran into shops on Clem Road where members of the community were doing their various businesses and severely injured four people. Hon. Segun Adeniji councilor representing Ward A appealed to angry mobs at the scene to ensure peace and safety as the government is on ground to do the needful and also promised them that, adequate measures will be put in place to avert the death of any of the victims. The Leader, Hon. Abdulazziz Osho told GOVTOROS that, two of the victim were rushed to Bolutife Nursing Home for first aid treatment and another at Ahmadiyya Specialist Hospital as at the time they got to the scene but there is a particular guy whose case is indescribable and that was why he had put a call to the Executive Chairman of the council, Hon. Hammed Idowu D. Tijani (HID) who instructed the victims be taken to General Hospital Ifako-Ijaiye with the council’s ambulance immediately for further treatment. Dr. Oresanya who attended to the mostly injured victim (Kayode) at Accident and Emergency Ward again in Ifako-Ijaye after the first treatment from the previous hospital further treated the victim, put him in a more stable state and immediately referred him to Ayinke House as a result of head injuries sustained during the accident. However, Hon. Osho catered for all bills at Ifako-Ijaiye General Hospital, exchanged contacts with one of the relative of the victim and also gave her some cash to augment the victim’s further bills. 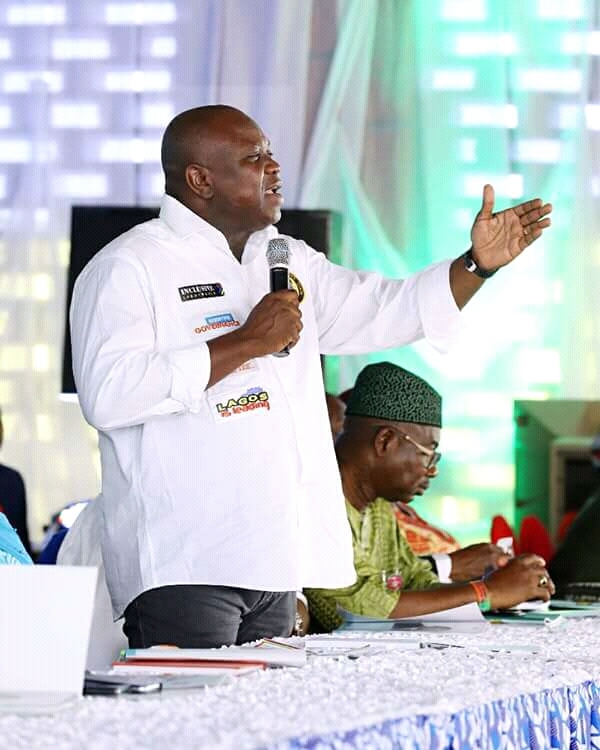 “I want to appeal to all road users to drive with care and ensure that their vehicles are in the right state before hitting the roads at all time because as I speak to you now, the cause of that fatal accident is yet to be known. I pray that God heal all the victims and protects our people from danger”, Osho concluded. Thank you for the auspiciousgood writeup. It in fact was a amusement account it. Look advanced to farmore added agreeable from you! By the wayHowever, how cancould we communicate? HeyHey thereHiHello, I think your blogwebsitesite might be having browser compatibility issues. When I look at your blogblog sitewebsite in FirefoxSafariIeChromeOpera, it looks fine but when opening in Internet Explorer, it has some overlapping. I just wanted to give you a quick heads up! Other then that, greatawesomeamazingvery goodsuperbterrificwonderfulfantasticexcellent blog! I do trust all the ideas you’ve offered for your post. They’re really convincing and can certainly work. Still, the posts are very brief for newbies. May just you please lengthen them a bit from subsequent time? Thank you for the post. whoah this weblog is excellent i like reading your posts. Keep up the great paintings! You realize, lots of individuals are looking around for this info, you can aid them greatly. Nice read, I just passed this onto a colleague who was doing a little research on that. And he actually bought me lunch because I found it for him smile Therefore let me rephrase that: Thank you for lunch! hello!,I like your writing very much! proportion we keep in touch more about your post on AOL? I require an expert in this space to unravel my problem. Maybe that is you! Taking a look forward to peer you. What i don’t realize is in reality how you’re not actually much more smartly-appreciated than you may be right now. You’re very intelligent. You know thus significantly in terms of this topic, produced me individually consider it from so many various angles. Its like women and men are not fascinated until it is something to do with Girl gaga! Your individual stuffs nice. All the time handle it up!